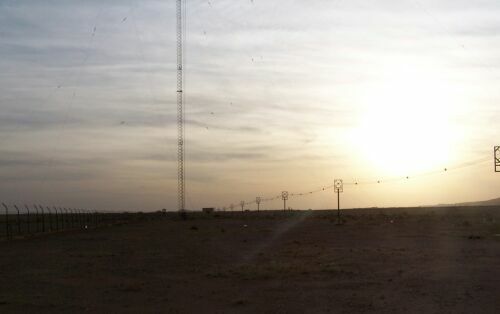 View on the three masts of the LW antenna seen from the site of the MW antenna. 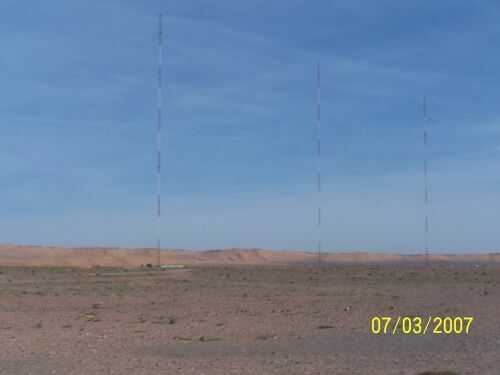 The height of each mast is about 360 m.
Similiar antenna designs can be found in Donebach, Aholming (both in Germany) and Ingoy (Norway). 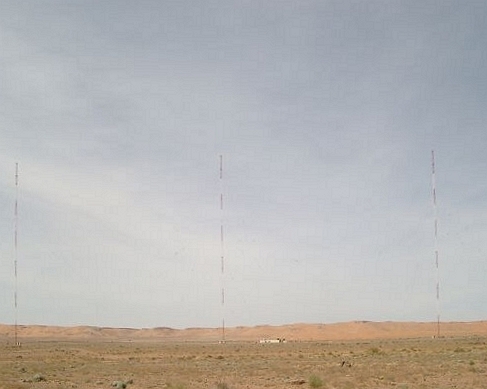 Photo of the three masts of the LW antenna taken from the other side comparing to the photo above. 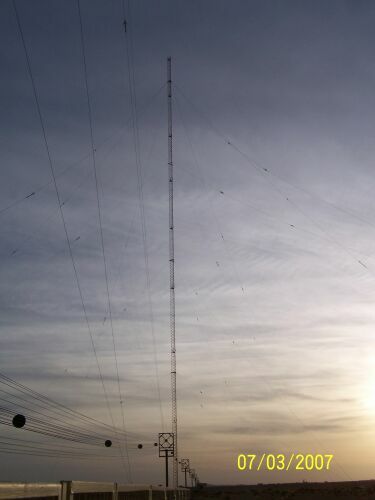 The central mast plus feeder line, which leads from the transmitter building to the antenna tuning hut at the base of the mast. On the left side two of the three masts of the MW antenna. 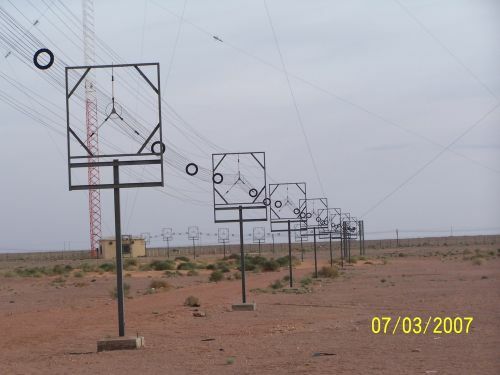 The feeder line is dimensioned for 2000 kW. 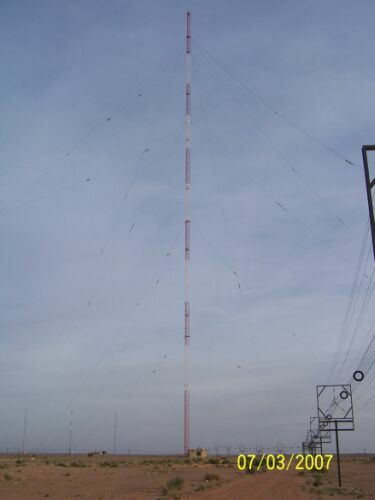 Due to the low frequency (153 kHz ) the dimensions of the feeder line are small. The guys and their insulators can be seen quite well during twilight. 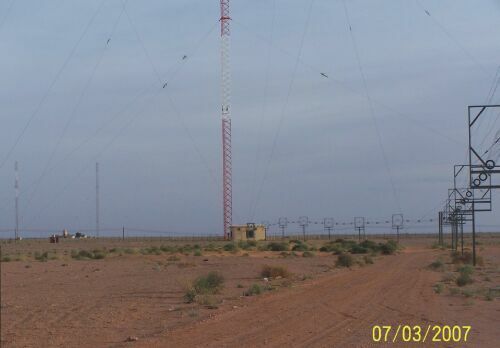 The three masts of the MW antenna in the rear. You can enlarge, reduce, shift, change the mode etc..